French prosecutors say a man carrying an "Islamic State" (IS) flag and a machete has been shot dead outside a Paris police station. The incident happened on the one-year anniversary of the Charlie Hebdo attacks. 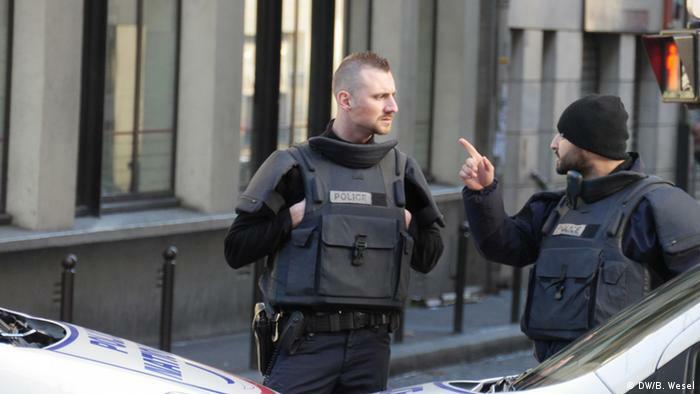 Paris prosecutor Francis Molins said "the Daesh flag (an Arabic acronym for the group calling itself Islamic State) and a clear written claim in Arabic" were found on the man, who appeared at a police station in the north of the French capital on Thursday morning. The unidentified man, who was armed with a meat cleaver and a fake bomb vest, was shot dead by police after threatening officers.